Now that you are comfortable chanting each separate line, your next task is to memorize the entire lyric in the correct order. This will be THE MOST CHALLENGING TASK. Especially when you do not know the meaning of the lyrics, memorizing their order can be difficult. BUT, once again, your brain is an incredible machine. 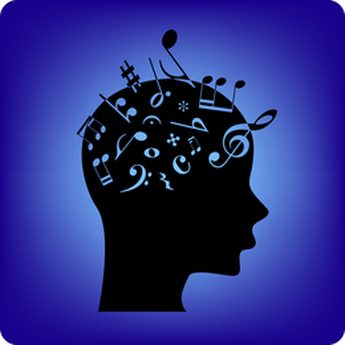 With guided repetition, there is no limit to what your brain can memorize musically. The Flow of Portuguese uses a series of audio aids to help you memorize song lyrics. These audio aids will take a specific section of the original song and play it on loop. You will sing along with these looped audio files and memorize each section in turn. As you progress through the aids, you will combine smaller sections into larger ones until you are eventually able to sing the entire song from memory. Throughout this process, it is important to take breaks. Your brain is like any other muscle and needs to rest in order to build the new neural connections. As you work your way through the materials, your energy and focus will wane and you will eventually hit a ceiling where you can go no further. When you reach this point, take an extended break and come back either later in the day, or preferably after a night of rest. It is actually during your sleep that most of the connections are created. You will be amazed to find how easy it is to perform the tasks you struggled so much with just a day before. Move on to the next step. Be sure to follow the steps in order. Once you have completed the last step and are able to sing the whole lyric from memory, you will have completed the lesson. After completing the lesson, you will record yourself either singing or chanting the lyric then submit it for review. Proceed to the Submission Page to learn more about this process.